Liliputians Small Accessories, ‘MIGHTY’ Impressions! My daughter loves hair bands, pretty bows and fancy clips but she also loves to run, climb trees and swing from the highest most heart stopping zip slide she can find and lets face it the two aren’t usually compatible. I have lost count of the amount of hair bands, clips and fancy hair accessories we have arrived home without after a day out. So why are Liliputians different then? Well firstly it stayed in. My daughter wore the hair band all day including during PE and it stayed in. Another issue we found is that we struggle to find hair accessories which fit her head but also aren’t too babyish. At twelve the adult hair bands do not fit and fall out easily and the ones that do fit are glittery character filled plastic which isn’t exactly a cool look for an almost teen. The band we tried had scarf like material and a wide Alice band making it even more secure but most of all it didn’t rub or hurt at the back of the ears like many do. We would not hesitate to buy from Liliputians range again. 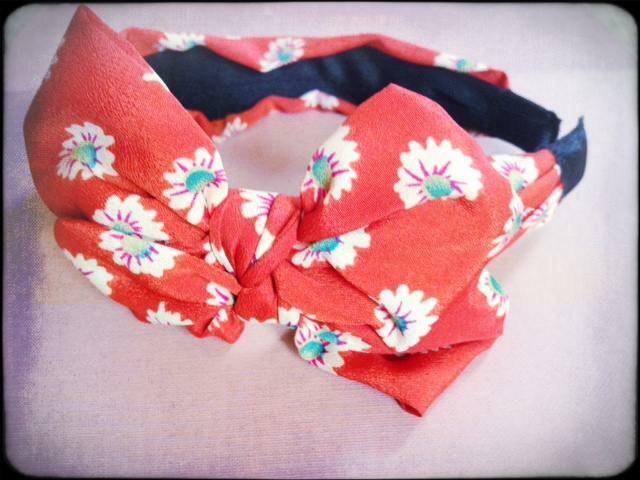 Lovely designs and very practical wear for all ages. We have all been there, when your children come home from school missing a jumper, their pe kit, pencil cases or such. If you are lucky it will be named and be in the depths of the lost property box or lying round school somewhere gathering dust. If not named you have little chance of seeing it again and lets face it school uniform and equipment these days isn’t cheap! Then you have the label cut outers. The parent who cuts the label you have neatly written or spent hours on the Sunday before school starts painfully sewing or ironing in and hoping they don’t fall out in the first wash or the first time they are chucked on the floor and used as football goal posts. Stamptastic has got the answer to this. 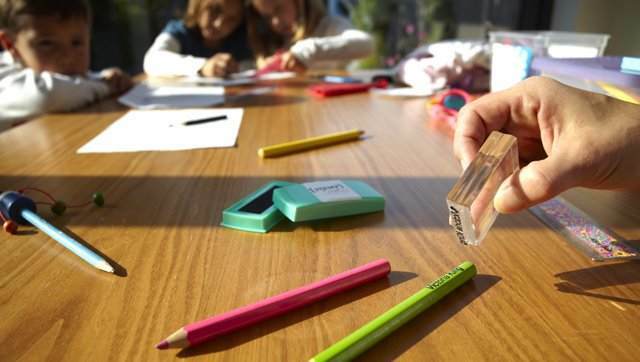 With a personalised stamp you can choose the name, font, size and a picture, the children will love the variety of animals, paw prints and cakes to choose from. With a transparent block for easy positioning it is so very easy to use. You simply stamp on to the ink pad and then on to the clothes. No hours spent sewing, no hours spent ironing and no one can cut the label out because you can stamp on to the material itself as long as its not see through and you are not confined to clothes either. dd who had great fun with the Stamptastic now has stamps on every calculator, pencil case, shoes, rulers, bags the lot! Even the 12 year old conceded that it was good fun and useful and better than paying seventy pounds to replace her sports kit! Lucy Spraggan Joins the Young Voices Choir. On the 2nd to the 5th March young people from schools across the region of Greater Manchester giving children the opportunity of a lifetime to sing on stage in the regions biggest arena alongside some incredible artists! Joining them this year is former X Factor Star , the fantastic Lucy Spraggan and we were lucky enough to talk to her about her involvement in the project. How did you become involved with the Young Voices Choir and what was it that encouraged you to join them? I did some work with Macmillan last year and Young Voices invited me to perform at the Royal Albert Hall as part of their Christmas charity gig. I had the best time and it was amazing to sing my songs with so many children. When they asked if I wanted to do a full tour I couldn’t say no. 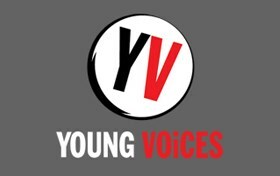 How important do you think it is schools get involved in projects like Young Voices and what do you think children gain from the experience? So important. It gives children the chance to perform in massive arenas at such a young age, and who knows, might give them a taste for it. I played my first show when I was 12 and I knew then that’s all I wanted to do. You have no doubt met some talented young singers, what would your advice be to them and would you ever encourage them to go on a show like the X Factor if they wanted to make a career out of singing? They should just do whatever they want and whatever they feel is right. It’s not the right path for everyone but it’s obviously an amazing platform and gives people the chance to get their name out there and forge a career for themselves. What are you enjoying the most from being involved with Young Voices? Hearing 4,000 children a night sing the songs you’ve written is an incredible feeling. I’ve been singing my forthcoming single Unsinkable and they really get behind it 100%. It’s been incredible. Can we look forward to any new music from you? The twelve year old in our house loves Tea and Toast. Yes, my new album will be out in Spring and as I say, the single Unsinkable will be out in March. I can’t wait for people to hear the new stuff! I’m a huge biscuit fan so this is a really tough question. I think biscuits come with different moods, so I just can’t give a definitive answer I’m afraid! On the doorstep of the hustle and bustle of the City centre a hub of business and entertainment is springing up from what was once an industrial docklands. With business giants ITV and BBC amongst those making it their home amongst theatres, shops and restaurants Media City has bags to offer for businesses and families alike. So here are our 10 reasons to lure you away from the hustle and bustle of the city centre and visit Salford Quays! 1. Catch a West End show on your doorstep! 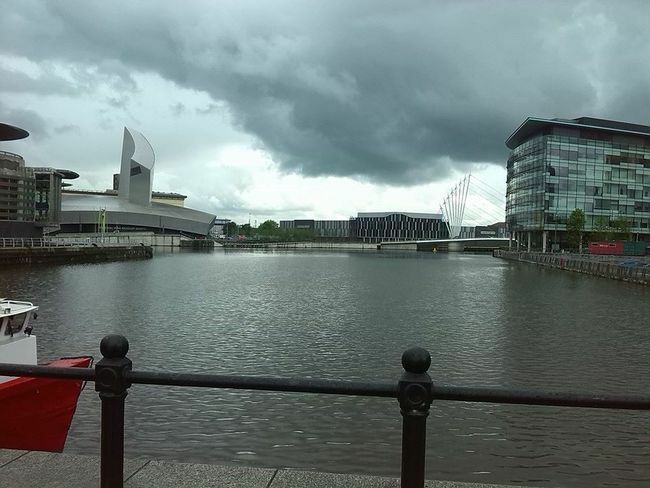 Why head off to the big smoke of London when you have the Lowry on your doorstep. With everything from the Lion King, Curious Incident of the Dog at Night Time, Wicked, Barnum, The Sound of Music and Shrek as well as a variety of children’s why face the hastle of long train journeys. Check them out to see What’s coming soon. The Lowry also offers childrens dance, drama and art sessions and the lovely Lookout is open Sun – Fri 11am – 5pm; Sat 10am – 5pm. Overlooking the water and providing a place for children to draw, play and be inspired. 2. Splash some cash at the Lowry Outlet. With Outlet stores such as Gap, M and S and Cadburys plus cinemas and plenty of places to eat definately a place to visit for some retail therapy. During school holidays the Lowry Outlet often has children’s activities and character meet and greets. 3. Discover Matchstick men and matchstick cats and dogs at the Lowry Art Gallery from its very famous name sake. 4. Take a cruise down the docks. Yes you heard right, a cruise down the docks. Take the captains hat as you sail down the Quays and take in the local sights of the BBC, ITV and Old Trafford while learning the fascinating docks history. Drinks and snacks available on board and we can vouch the staff are lovely! 5. Visit the home of legends at Old Trafford. Across the border in Trafford but just a stones throw take a tour or catch a game. 6. Go back in time at the Imperial War Museum North. Just across the bridge for The Lowry. Timestack object handling sessions, tanks, planes and a huge amount of history from the wars. With big picture shows projected on the interior walls of the museums and family activities in the school holidays the Museum has something for everyone. 7. Reach dizzy heights at the peak of the Air Shard. Dare you climb the AirShard – one of the most iconic features of the Manchester skyline? Stand 100 feet in the air and experience spectacular views of MediaCityUK, The Quays and Manchester. Look down through the mesh gangway under your feet to spot the anti-aircraft searchlight pointing up at you from the ground below. 8. Be the star of the show as you go behind the scenes on a CBBC tour. Check out the CBBC studios where some of your favourite shows are made. Check dates as can book up very quickly. 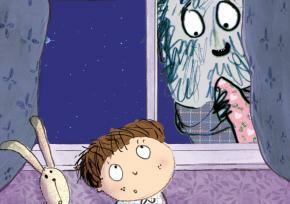 Watch out also for free family events run by the BBC and meet your favourite stars. 9. Grab a bite to eat by the waters edge. A huge selection of places to eat with something for everyones tastes. With legendary flame-grilled PERi-PERi chicken and a Nandinos menu especially for under 10s Nando’s is the perfect place to catch your breath and fill hungry tummies while enjoying everything The Quays have to offer. 10. Simply take a stroll by the waters edge and see if you can spot a celebrity at the new Corrie site. Ok we know this is not Wigan and Salford news but we know lots of you look for that perfect stress free holiday destination which meet the needs of the whole family particularly if you have children of different ages or travel with multi generations. We have never been to Jersey before and usually head to Menorca but for one reason or another we just didn’t want to face long passport queues, two hours flights and the inevitable long coach journey from the airport to resort. We can also be a challenging party as it can also be hard to meet the needs of a party which spans from 11 to 65 years and find something for everyone. Travelling with a child with additional needs, an adult with medical problems and another terrified of flying, Jersey seemed the ideal destination. An hour plane journey meant I knew my journey would end soon, no need for passports (photo id needed) and no long queues at border control in either direction with tired/grumpy/bursting with excitement children, infact no queues at all! We landed got our luggage off the belt and where on our way, perfect! There is even a small soft play area and cafe to keep children entertained while you gather your things together. We arrived to glorious sun with days to go until the start of November, jumped on the number 15 bus from straight outside the terminal which for a cost of just £1.80 each adult (less for children) took us into the centre of St Helier with its lovely harbour, beach and lifeboat house. The public transport system is fantastic and UK currency is accepted so no need to spend your time trying to work out currency conversions on purchases. Jersey has a facinating and rich history especially for those with an interest in World War 2 having been occupied by the Germans however it is also full of its own history and there is a massive amount to do. For a small Island it is bursting with activities for all the family from Aqua Splash, adventure play lands, museums, cinemas shopping and food places galore including many of your favourite names plus a lovely selection of independent stores. After settling in our first step was the Maritime Museum. We decided that who ever designed the Maritime Museum either had kids of at least had brought children into the design room. It was perfect, with levers to pull, boats to design and build and water to sail them on plus a pirate ship which really does test your sea worthiness! It really was hands on with many shouts of Mum look at what this one does while at the same time teaching them without them even realising about tides and structure and floating! The staff were amazing, offering pirate costumes and interacting with the children. I had many requests from my daughter to go back the next day to play! The Jersey Occupation Tapestry was stunning and well worth a visit on its own, they are rich in history. Made by the people of Jersey to celebrate the 50th anniversary of the Island’s liberation the tapestries tell the story in rich detail of life under German occupation during World War Two with each area completing a different tapestry to mark their story and the hardship and trials they endured. They really are beautiful and informative and a very important representation of history for generations to come. We travelled with a member of our party with mobility problems and everything had been thought of with either ramps, lifts or stair lifts in areas where a lift could not be fitted. In fact we found this the same in all the museums and it was such a help. We decided to take the ferry across rather than wait for the causeway to uncover, my daughter has additional needs and was not at all sure of the amphibious vehicle which can run on land and sea but the staff were fantastic and allowed her to take a look and chatted to her to calm her fears before boarding to the point coming back she could not wait for the boat to come back so she could travel! The little safety video is a fantastic way to not only engage children but ensure they are listening to its very important message. It takes only a few minutes to get across but well worth the ride. The castle which is more than 300 years old is breathtaking, with rooms children will love full of cannons and swords and steeped in history but most of all with perfect space and nooks for children to explore and climb. 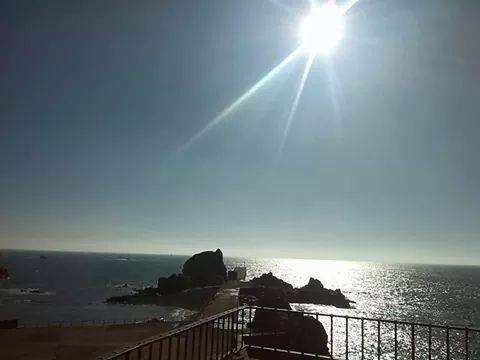 It is well worth going to the very top for the views alone, seriously it is so pretty with views across the bay and the little sandy shore at low tide around the castle. Do not miss the mid day parade and cannon firing either, very exciting! There is a little tea room on site selling food, drinks and snacks and plenty of toilets. The museum tells over 250,000 years of history from Neolithic times to modern days with fantastic displays and hands on items documenting farming and life on the Island. Most exciting was the coin hoard. 70,000 Celtic coins and pieces of jewellery were discovered in a field in Grouville in 2012. One by one each coin is being removed from the mound, documented, cleaned and preserved. It is a painstaking task but well worth it with preservation of the plants and insect parts found alongside too which will be able to tell us about what was happening at the time they were buried there. You can also watch the work as it is happening through special windows. The gas lit merchants house is beautiful and a real step back in time with a flash of the future as hologram ghosts tell you their story and drama. My daughter loved the nursery room with old fashioned rocking horses to ride, toys to play with and chalk and slate to make your mum do times table sums with! St Helier itself reminds me of my town as a child before it was over commercialised. It is spotlessly clean and has everything you would need, there are several small gifts shops and independent shops, a cinema, an aqua centre and a perfect little centre with recognised shops. There are many places to eat and everything you could ask for in terms of tastes and likes. Our only complaint was we had not stopped longer, there is so much more for us to explore with many other castles and the Jersey War Tunnels and much more. The people of Jersey were wonderful, we did not recieve anything but a friendly welcome in any of the attractions, shops or food places we visited. Departures at the airport must be one of the nicest I have ever been in, with shops to buy gifts and travel essentials and a lovely market type cafe selling all kinds of lovely food, alcohol and ice creams and a great big viewing gallery room where you can watch the airplanes take off while you wait. Security was very quick and I really did not feel the stress and rush you usually have at airports. What is more when you arrive at Manchester again guess what? You do not have to stand in airport queues at passport control with tired and restless children waiting for your turn, a quick pass through customs and you are on your way! An easy end to a fantastic holiday. On our last day my daughter refused to go home, we will be back Jersey, thank you for giving us such a welcome. As a theatre lover there is nothing better than the entranced faces and giggles of small children in the theatre and knowing if we get them in as children they will hopefully return as adults. It can be difficult to translate our favourite bedtime stories from book to stage and sometimes it doesn’t quite carry off but Tall stories do children’s theatre with Gusto, with other shows such as the Gruffalo and Room on a Broom they are able to capture the attention and imagination of small children perfectly. Everyone who has small children will relate to this show, we have all had that small voice echo down the hallway about the scary thing that only appears in the room when you leave them or the sudden need for a drink, a wee or anything that will get you to go back in to their rooms, but what is the scary thing is not really scary? What if the scary thing itself is scared? Emily Brown and her trusted rabbit Stanley are trying to go to sleep when they are disturbed by a noise outside, they set off on an adventure to help find out why the Thing is so upset, can they help him get to sleep? Emily Brown and the Thing is a beautiful mix of music, actors and puppetry perfect to keep small children engaged and the message is simple, everyone is scared of something but we can all conquer our fears. We love the theatre here at Mumsnet Wigan and Salford but being so far from the bright lights of London’s West End it can sometimes be a problem to find the time to get up to London to see our favourite shows and when you do you often need transport, hotels and extra costs associated with eating out and the inevitable shopping trips! Theatre live at your local cinema opens up shows to a new audience, those who may have never been to a West End show, for who the costs or journey may have been previously something they were unable to consider or simply those who thought musicals were not for them and who might give it a try on a local evening out with friends or family. Cineworld Leigh is in the centre of town and a short walking distance from the main shopping area and bus station. It has seven screen, disabled access, disabled toilets and baby changing. The cinema sells a massive selection of sweets, snacks food, ice-cream and more lately a small selection of alcohol. When ever we have been the venue has been spotless and staff helpful and friendly. Recently they have introduced reserved seating, there has been mixed views on this but it does make it easier if you mind where you sit or you are in a big group to book in advance and know you can sit together. Arriving for the theatre live event felt different from the normal cinema experience, there was a small red carpet area and staff greeting you at the screen door and a small program was handed to attendees. Within the screen there was just what you would expect at the theatre, sellers of icecream and snacks were available. The actual show itself was fantastic, despite being a live link across the UK and several parts of the world there were very few blips and the sound quality was wonderful. Billy Elliot is set in a North East Village during the crippling miners strikes of 1984-85. It is a true and raw representation of the hardship the miners and their families went through in an era where times and industry where changing and the working class were being hit the hardest by this, it is utterly heart wrenching at times but it is not all gloom, with music written by Elton John it is also as you would expect very very flamboyant, sometimes completely crazy and provides many many laughs. 11 year old Liverpool Boy Elliot Hanna was breath taking as Billy and the emotional performance of Deka Walmsley as Dad was beautiful and heartbreaking in equal measures. There is a LOT of swearing in the musical but lets not forget this was a northern mining town in a dark period of time struggling to live and feed their families and is mostly in context. There were many small children in the screening and if you can see past the swearing it is a wonderful, vibrant and colourful show which children will love. While it would not stop us from visiting the West End and seeing shows live it was such a pleasure to walk out of the theatre and be two minutes from home without having to trek across London or spend hours on the train and like a film it is nice to see these shows more than once, often you see things you missed first time round as so many things are happening on the stage at one time, for that reason we would love to see more of the main West End shows following the same path and from what we have seen in the press the one screening beat many headline films in box office takings last weekend so it would seem many more would agree! 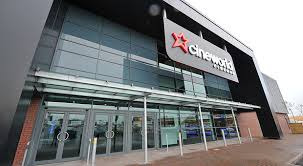 Cineworld Leigh also provide Movies for Junior from £1 (if booked online) showing favourite children’s movies and Cine Babies which allows parents with babies under 18 months to see the latest movies with the sound and lights slightly dipped. 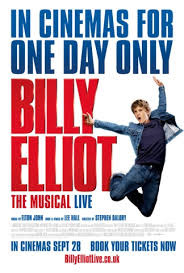 Billy Elliot the Musical will be available on DVD from November the 24th.